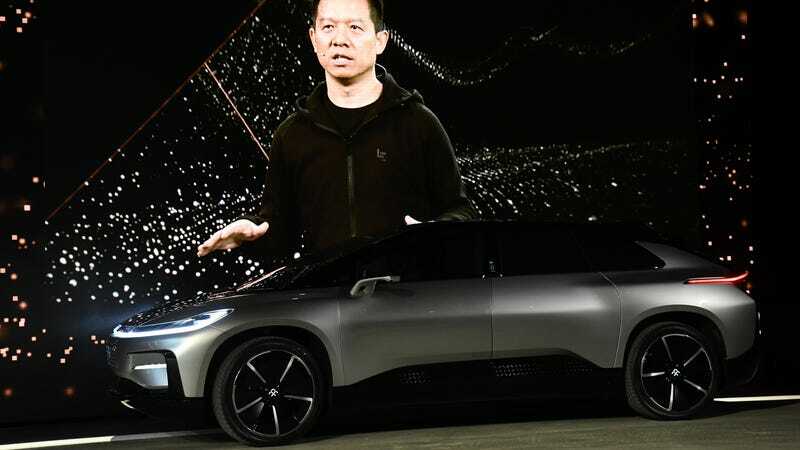 Faraday Future founder Jia Yueting has reportedly managed to suddenly raise $1 billion in funding for the company and will take over as CEO, following reports that Yueting had been blacklisted by the Chinese government and his company was edging towards bankruptcy. This all seems totally legitimate so far. According to Yicai Global picking up a report from Securities Daily, Jia Yeuting held an employee meeting in Los Angeles on December 13, just a day after news broke of him being blacklisted by the Chinese government for his egregious borrowing practices, and announced that he was going to enforce the electric car company’s vision as its first CEO in four years with his freshly acquired equity financing. There have been reports that Jaguar Land Rover parent Tata Motors had invested, or was in negotiations to invest $900 million in Faraday Future, but Tata has since vehemently, repeatedly denied it was happening. It’s also unlikely Yueting raised the financing through a Chinese party, unless the deal somehow survived his being blacklisted. So where did the money come from? Who would buy into this company now? If this is somehow true, it’s an extreme turn of fate for Faraday Future, which recently lost its CFO after rumors emerged of bankruptcy, lost its lead designer, pulled out of Formula E, and had a software developer claim Yueting set up a $75 million trust fund for his kids using company money, all of which was reported over the span of about a month. Looking ahead, the company has plans for January’s CES event, where it will likely try to find an excuse not to refund those who put down the significant deposit for the FF 91 electric crossover, while it tries to finally get the California factory it secured in shape for production after basically getting kicked out of Nevada. I have never been more intrigued for CES than I am this year. Jalopnik has reached out to Faraday Future for confirmation and comment, and will update when more information is available. Maybe he found it laying in the parking lot, or an old coat pocket.